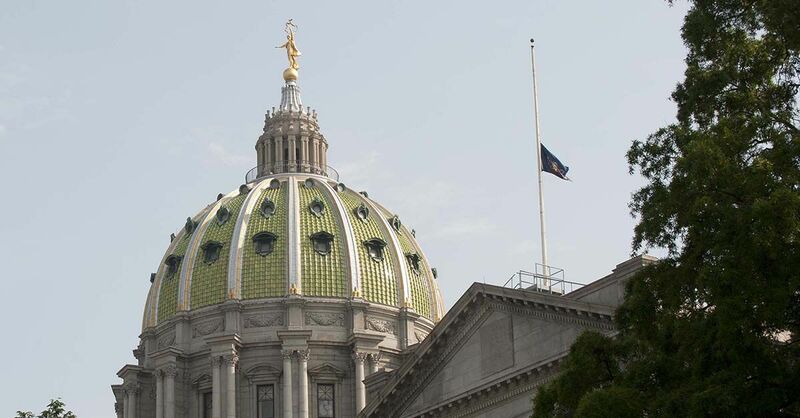 Harrisburg, PA – Governor Tom Wolf has ordered all United States and Commonwealth flags in the Capitol Complex and at all commonwealth facilities in Lycoming County to fly at half-staff on Saturday, November 28th to honor former Congressman Allen Ertel. Ertel, 78, of Williamsport, dedicated his life to a career in public service; he served as the Lycoming County district attorney from 1967 until he left to represent the old 17th District in Congress from 1977 until 1983. Ertel was also a candidate for governor in 1982 and for state attorney general in 1984. He continued to serve the public through the non-profit human services organizations Families United Network Inc., and Firetree Ltd.
Flags shall be lowered to half-staff at sunrise on November 28th and remain lowered until sunset.